Chimmey/Scooby-adopted! | One Dog More! This little cutie-patootie came to us from West Virginia. He is a 6 pound brown/white Chihuahua. 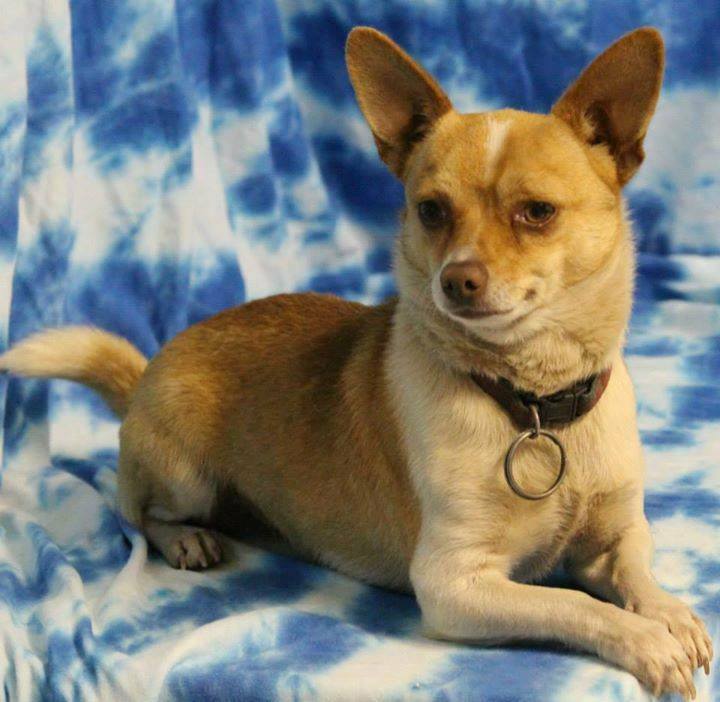 Chimmey is neutered, microchipped, up to date on shots and heartworm tested. He is house and crate trained. Great with other dogs and with cats. Loves to cuddle and needs a lap of his own to sit in. Please consider this sweet little fellow! This entry was posted in Adopted! and tagged Chihuahua, good with cats, male, neutered by onedogmore. Bookmark the permalink.